Sturdy paper (200 g/m²) promotional bag, glossy laminated with reinforced bottom and carry straps. Suitable for A3 format documents. 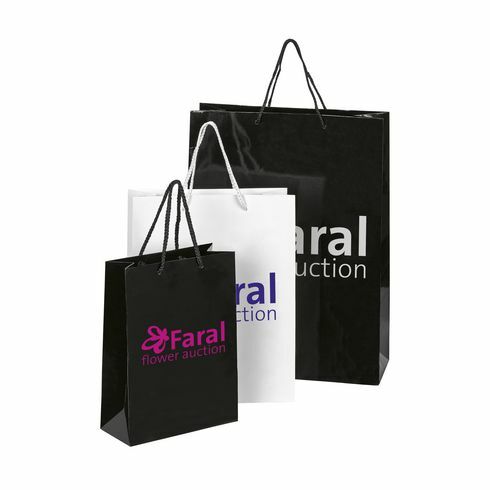 Fill this bag up with premium items, gadgets and promotional material to make the ultimate goody bag. The ideal giveaway item at trade fairs! A sustainable product, suitable for re-use.